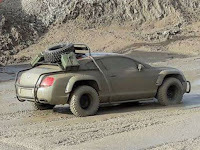 As you have seen here is like a merchandise of the Mad Max movie, or same like a vehicle style after nuclear war. 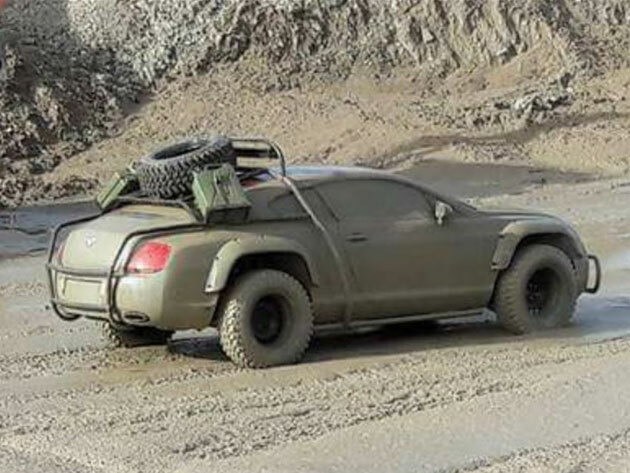 It's not only more stylist with comfortable goes to offroad playground, it will a lot better than Wrangler or Evoque, is that right? 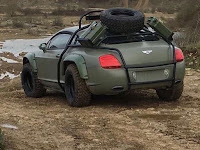 Found this one was posted on the Battlecars Reddit thread, it is very easy to be identified come with wide wheel arches, hatch-mounted fuel canisters and spare wheel pretty much say everything you need to know, regarding its purpose. 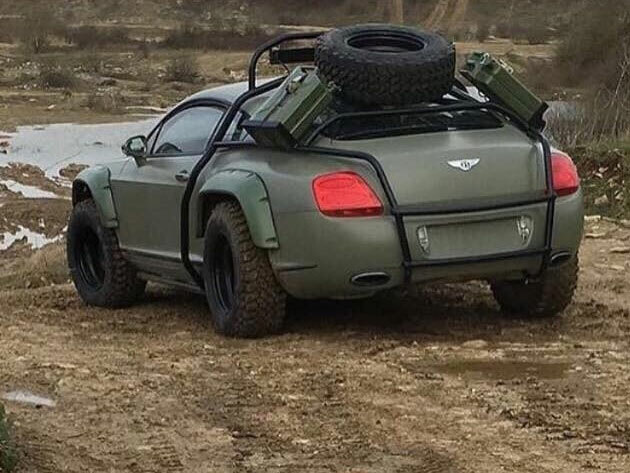 Doesn't matter it's a replica or not, that's was ready one great reference of the Bentley custom build. 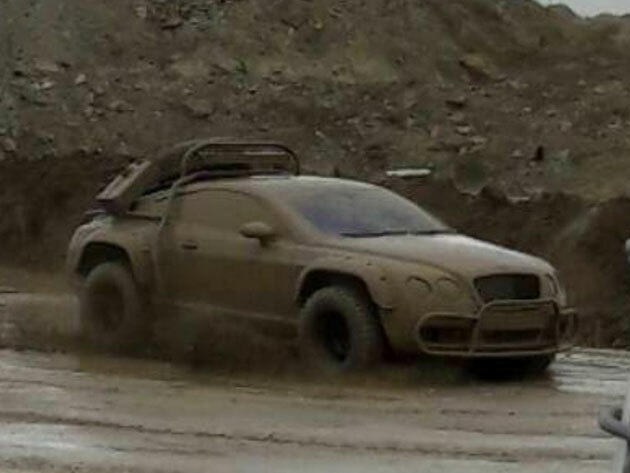 And will see who was crazy enough to custom their Bentley to be ready for offroad use.